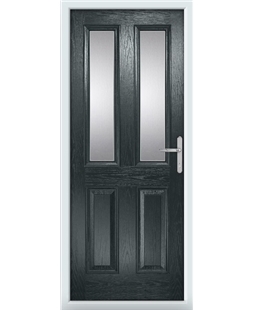 This Composite Door has a dedicated 70mm reinforced uPVC frame. The 44mm thick door is made of Glass Reinforced Polymer (GRP) with a high insulation core and has been weather tested to British Kitemark standards. As with uPVC, this Composite Door is virtually maintenance free. Multipoint, hooked door lock system provides stern resistance to attack.3 keys come as standard. For additional security, this composite door comes with the Yale Anti-Pick, Anti-Drill, Anti-Snap, Anti-Bump cylinder, approved by the official police security initiative 'Secured by Design'. Comes complete with a Lever/Lever handle configuration which is available in Black, Gold and Chrome. Other options are available, please see the 'Accessories' tab. If glass is featured within your chosen Composite Door it will be toughened safety glass. Please Note: The images provided are only an indication of shade, there may be small variations between the colours. To find out more about the colours of our Composite Doors please click our colours tab. Our Composite Door leaf is available in 11 beautiful colours, Standard colours are: Black, Blue, Green, Oak, Red, Rosewood and White. Custom colours are: Anthracite Grey, Chartwell Green, Duck Egg Blue and Cream. Please Note: The images provided are our best indication of shade, there may be variations between the colour on your computer screen and the actual door. All our Beautiful Composite Doors are White on the inside as standard. However, you can match your internal colour to your external colour for an additional £100. Our Composite Door frames come in white as standard, however, Oak and Rosewood are available on the outside of the frame for an additional £30, or on the inside and outside for an additional £50. Please Note: When choosing an Oak Composite Door with an Oak frame, or a Rosewood Door in a Rosewood frame, there may be a difference of colour between the door slab and the outer frame. This is due to the outer frame being made of uPVC and the door slab from GRP. This is not a fault within the product. For an additional cost, our Composite Door leaf is now available in any RAL Colour, giving you’re the freedom to have your new door any colour you wish. If you wish to have your door leaf White on the inside and any RAL colour on the outside, please add £200 to our White Composite Doors prices. 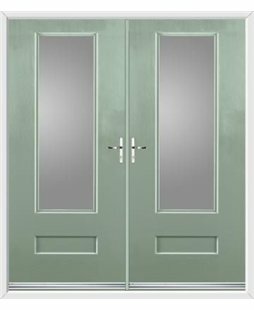 If you wish to have your door leaf any RAL colour inside and out, then please add £300 (I.E £200 for outside colour, £100 for inside colour). With our beautiful custom colours; Anthracite Grey, Chartwell Green, Duck Egg Blue and Cream, and our “any RAL colour” service please anticipate a slightly longer lead time. Most of our customers prefer to have their coloured door leaf surrounded by a white frame as this tends to look best if your house has white windows, however, if you would like a coloured frame to match your door leaf then this is possible. Please add £30 for outside coloured Frame and a further £20 if you would like the inside coloured to match. Please Note: Due to the nature of various materials used in manufacturing windows and doors, there may be colour variation between products. A cill sits across the bottom of your door, under your threshold, and directs water away from your home. If your house requires a cill, it forms part of Building Regulations. A cill will be required if your house has brickwork below your door. If your doorway is sat on a concrete or stone step, then you probably will not require a cill. 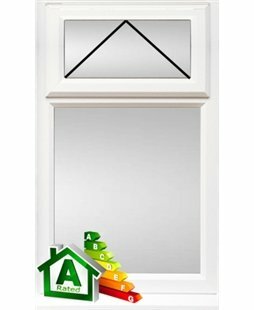 Our surveyor will advise you if your door requires a cill or not. The first twelve months coverage is free of charge, if you wish to continue using the service then renewing your subscription is just £5 for the following year. There is NO obligation to continue beyond the initial twelve months, however, and if you do not want to take advantage of this offer, just leave that part blank on the installation registration form. All our doors and products are fully compliant with all UK and European standards and legislation. In the rare instance, your door requires any certification; we will do this for you automatically, free of charge. I was recommended by a friend to use Value Doors as the quality, price and overall experience were great for him. So, I picked the same company and he was right! Luke from the sales team answered all my questions and discussed what happens next. A few days ago Matty (really professional and friendly person) arrived and installed my doors and I feel really happy with them! The front door design looks brilliant and I have already had a few questions from my neighbours about the price and the company that provided them. Happy customer! Will recommend Value Doors to my friends and neighbours in the future! Simon from Leicester was our fitter and who came to see us. He helped us through the selection process, which made our decisions much easier and I loved the fact that he was not pushy. Love my new door and I am so pleased with the quality and service from start to finish. Would be glad to recommend Value Doors and Simon King. We could not fault the service we received 1st time round so decided to go straight to you guys this time and were rewarded with a discount. Thanks for that and for providing great service from start to finish once again. The order went like clockwork. Staff helpful on phone and by email, installers worked very hard and fitted it superbly. All very easy. Great door well installed. Very happy. We had a quote from a local firm who were astronomical. With Value Doors we got essentially the same door and finish at a fraction of the price. I have recommended you to so many people which is something I don’t really do. 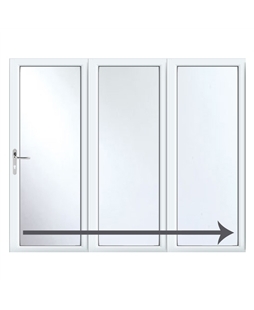 Value doors = quality product with an excellent installation. We were very pleased with the doors, which were installed when originally advised. No hard sales talk, and the installer Richard was very polite and efficient. From my first phone call to the office and the fitting of my front door, I have been very impressed by the punctuality and professionalism of work carried out by Maciej. Needless to say, I am over the moon with my new front door and would use Value Doors again. From the first response, a very pleasant company to deal with. Met Neil a few days later, a lovely guy. Upon fitting the door; it was on schedule and on time. Neil was also very clean and tidy in his work, he's done a great job at fitting the door, it looks amazing! I would highly recommend him.